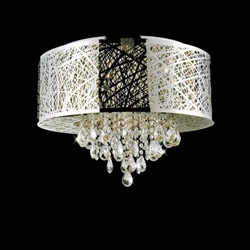 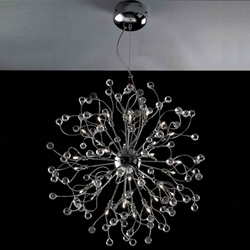 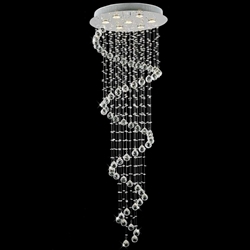 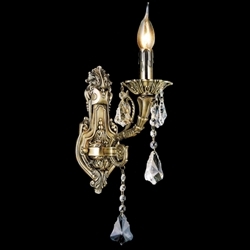 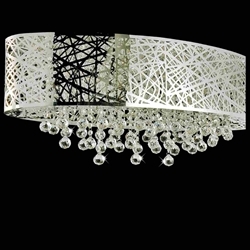 This spherical chandelier from LED Cage Collection blends traditional crystal embellishments with a modern orbital frame to create a timeless accent piece for any room. 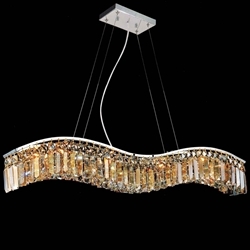 This fixture features a Natural White LED light strip along the rounded frame, and accomodates five candelabra bulbs in the center. 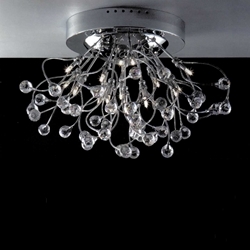 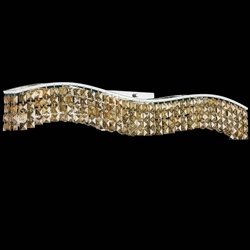 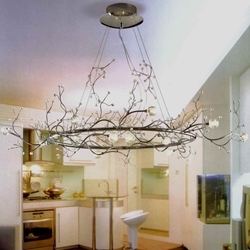 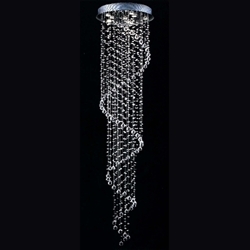 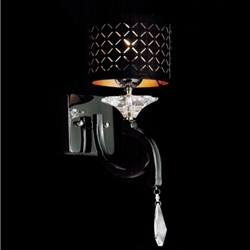 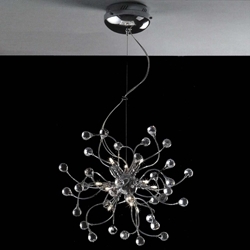 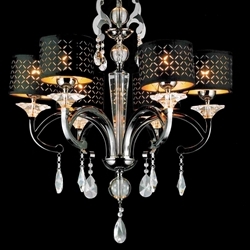 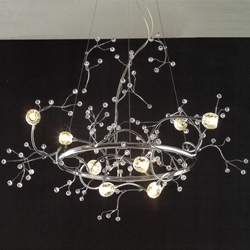 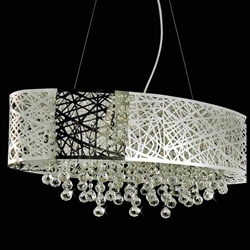 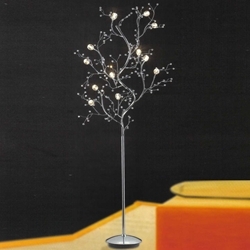 We recommend choosing cool white LED bulbs for this chandelier in order to match built-in LED strip. 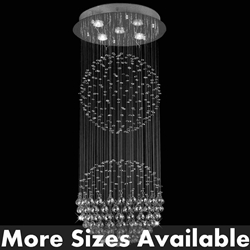 Total Height (Installed) 28" - 96"